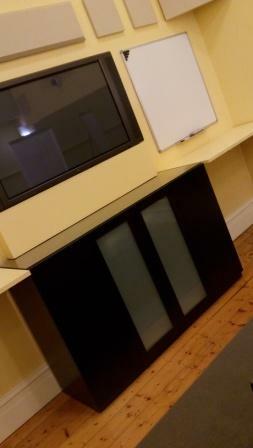 Complete Focus - Your Ideal Focus Group Facility. 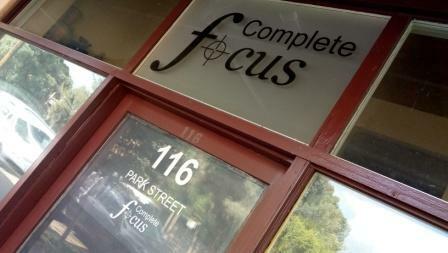 Complete Focus is a welcoming, professional, purpose designed and independent group room facility. 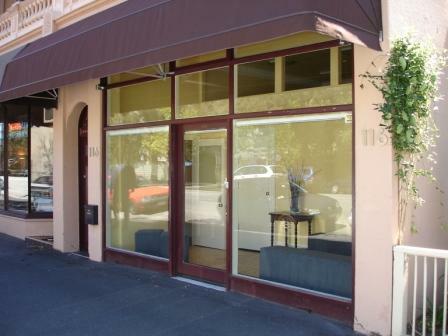 It is located in South Melbourne, only minutes from the Melbourne CBD and close to the hub of Melbourne's major arterial freeway network enabling recruitment from a wide field of Melbourne suburbia. 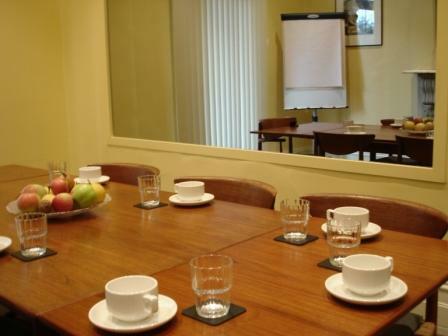 Public transport is at our door step and ample car parking is available. Our inviting comfortable rooms are conveniently fitted with state of the art equipment and all of our rooms provide viewing through a large wall observation mirror. Affordable Live Streaming (Webcasting) is also available if your client prefers to view off-site. Our HD quality live stream can be viewed by any number of clients, anywhere in the world, and on any device - e.g. PC, laptop, iPad, Smart Phone. 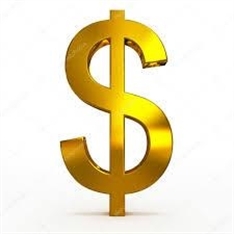 Our fees are very competitive and most importantly, are all inclusive. 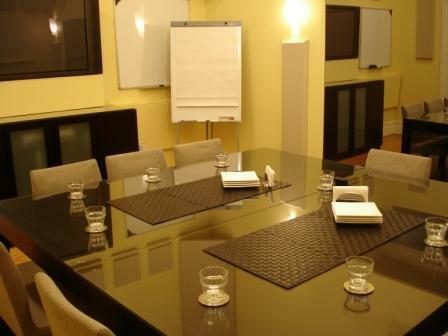 There are no additional charges for items such as name tags, writing pads, pens, butchers paper, white board, use of flat screen TVs, computer and moderator's internet (Wi-Fi) access. Please contact us for a copy of our current pricelist. We know research rarely fits a common formula and there are always those little extras that are necessary for your project. 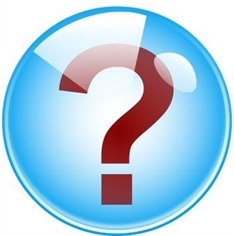 Talk to us about what it is you specifically require as we always strive to arrange or accommodate whatever it is that is needed! 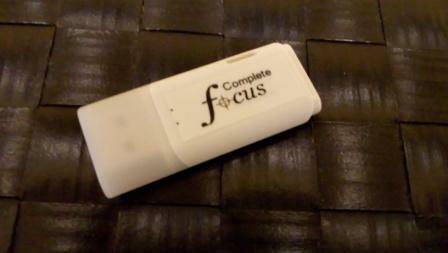 Complete Focus is centrally located, easily recognised and very easy to access. 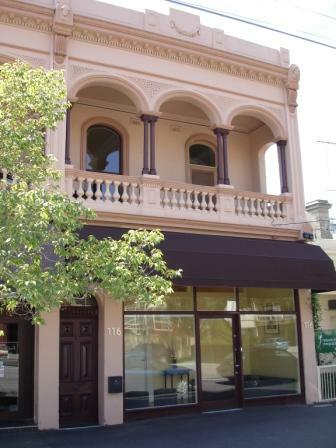 The building is a magnificent period premises that was built around 1890. 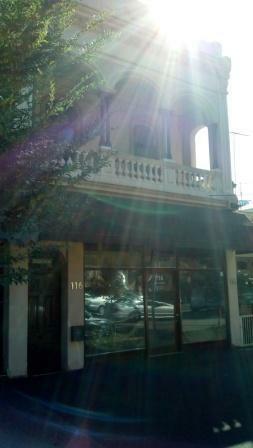 We are located at 116 Park Street, South Melbourne. This is on the north side of Park Street, situated between Kings Way and Moray Street. There is ample on-street and commercial carparking nearby. The best place to park will depend on the duration of your visit. For shorter stays, up to one hour, the free on-street parking immediately in front of our building is suitable. For longer stays we recommend parking just to the west of us. Public transport is also very convenient with St Kilda Rd (Domain Interchange), Kings Way, Parks Street and Clarendon Street tram services all nearby. Want to know more? You can contact us by email with this form. Scroll down for a map of our location.